Created to meet the demands of monitoring and performance, every Studio model offers incredible refinement of engineering, an attractive design which withstands the closest examination, and sound that has to be heard to be believed. Coupled with the Volt commitment to long life, consistent performance and technical innovation, the Studio range represent the ultimate in sound reproduction. With the integration of Radial Technology, the future of audio design is here. Studio monitors offer the ultimate in accuracy and reliability. A symmetrical field magnet system and long coil ensure consistent linear performance, while double rear suspensions guarantee transient stability at high drive levels. The result is smoother, clearer sound throughout the range. 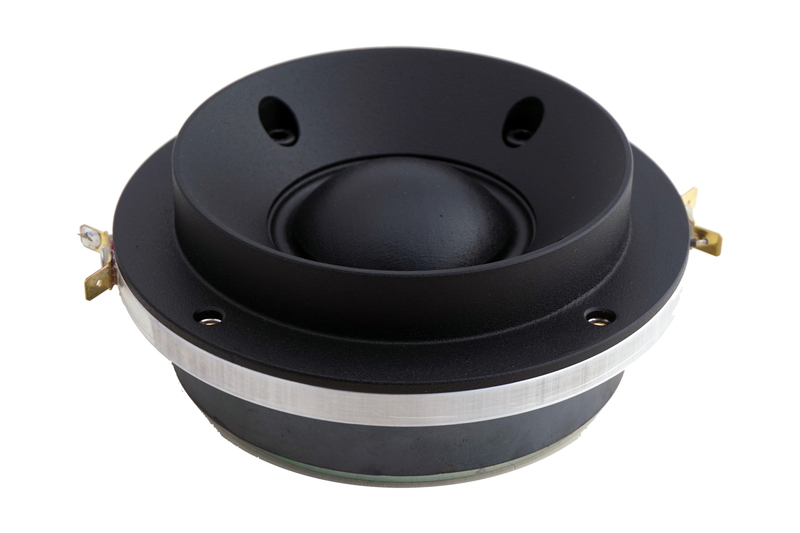 The VM527 is a 2" (52mm) soft midrange dome unit which has been designed for a smooth extended response with minimal colouration and low distortion over the critical midband frequencies. The coated one piece fabric dome/surround is coupled with a lightweight Kapton/Nomex, single layer, round wire copper voice coil for accurate transient response. An a FEA designed magnet system ensures linear coil movement even at high power levels. The magnet system develops high magnetic flux density due to its precise gap clearance enabling excellent heat dissipation for high power handling and efficiency. Wide dispersion is controlled by the short, optimally angled front mounted horn flare which also incorporates the threaded fixing points for rear mounting. The termination braids are hidden inside the unit and are not visible, connection is by 6.4mm (0.25") spade terminals allowing soldering or push on receptacles. The entire dome/coil assembly is built onto a replaceable ring that accurately self locates so allowing easy field replacement. Low distortion and wide dispersion midrange. 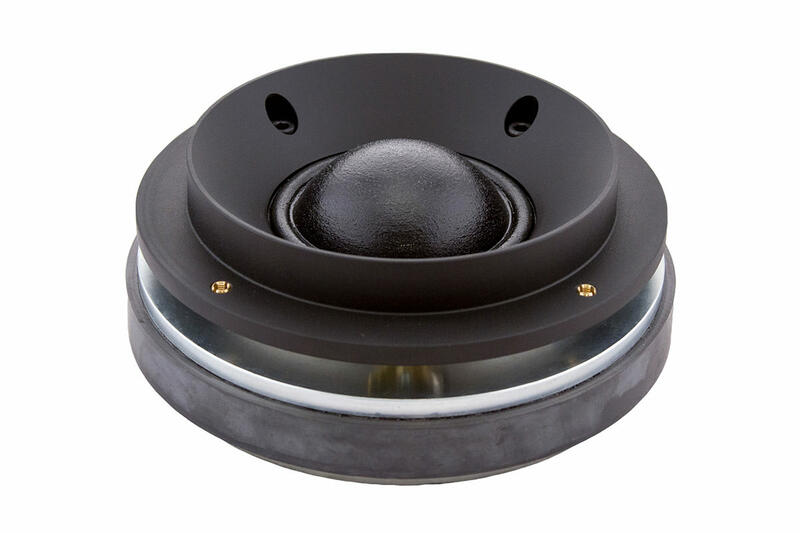 The VM752 is a 75mm diameter dome unit loaded by a short, front mounted horn. It uses a single layer, round wire copper coil slightly longer than the focussed magnet gap to allow for high excursions at the lower end of its operating range. The dome and surround are critically doped for smoothness and consistency of response, a second, rear surround maintains coil stability. The magnet system uses a 200mm (8") ceramic magnet for high efficiency and is solidly fixed to a painted, aluminium chassis. The termination braids are hidden inside the unit and are not visible, connection is by 6.4mm (0.25") spade terminals allowing soldering or push on receptacles. The entire dome/coil assembly is built onto a replaceable ring that accurately self locates so allowing easy field replacement. The unit is intended for rear mounting, M5 threaded inserts are incorporated in the flange for fixing screws. 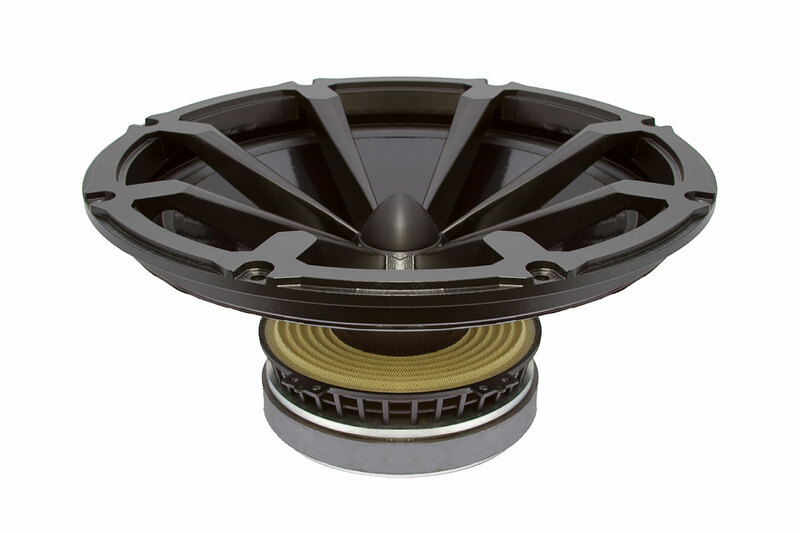 The BM165.1 (6.5") is a critically doped plastic HIPS cone drive unit, developed for bass/mid applications that require minimal colouration and low distortion over a wide frequency range. It uses a symmetrical field magnet system with an extented pole piece for large linear excursion capability, along with mirrored double rear suspensions that guarantee transient stability at high drive levels. The Thiele-Small parameters are optimised for relatively small enclosures to give a bass performance that complements the extended midband enabling excellent 2-way systems. The diecast aluminium chassis is vented below the suspensions to increase cooling airflow to the voice coil. 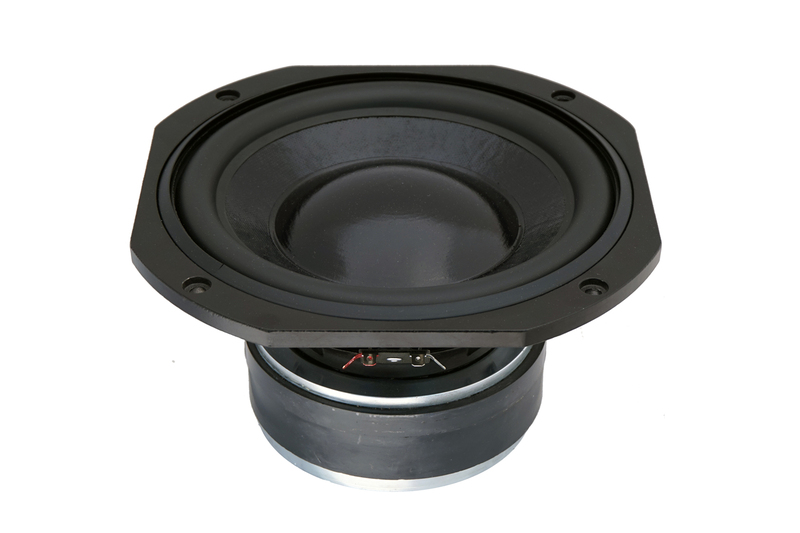 The SB220.1 has been optimised for bass performance in sub-woofer applications. 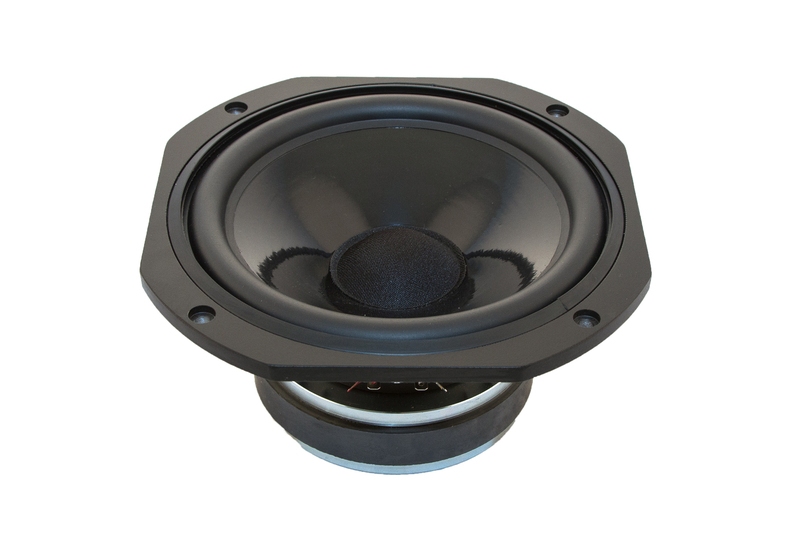 The SB220.1 uses a vented, symmetrical field magnet system with an exceptionally long voice coil for large linear excursion capability . The cone uses a long fibred pulp for rigidity and with the dustcap, is damped by a coat of glossy black dope. Suspension stiffness and excursion is optimised for tight control over high power transients. The Thiele-Small parameters are ideal for easy use in small sealed, vented or bandpass enclosures to give extended bass performance. The B220.2 has been optimised for bass performance in compact studio monitoring systems. The B220.2 uses a symmetrical field magnet system with a long coil for large linear excursion capability. Double rear suspensions guarantee transient stability at high drive levels. The cone is doped for minimal colouration. The Thiele-Small parameters are optimised for easy use in relatively small enclosures to give extended bass performance. This unit combines powerful bass performance with extended low colouration midrange. It uses a symmetrical field magnet system for large linear excursion capability. Double rear suspensions guarantee transient stability at high drive levels. The plastic cone is critically doped for minimal colouration over a wide frequency range with a smooth upper roll off. The Thiele-Small parameters are optimised for relatively small enclosures to give a bass performance that complements the extended midband enabling excellent 2-way systems. 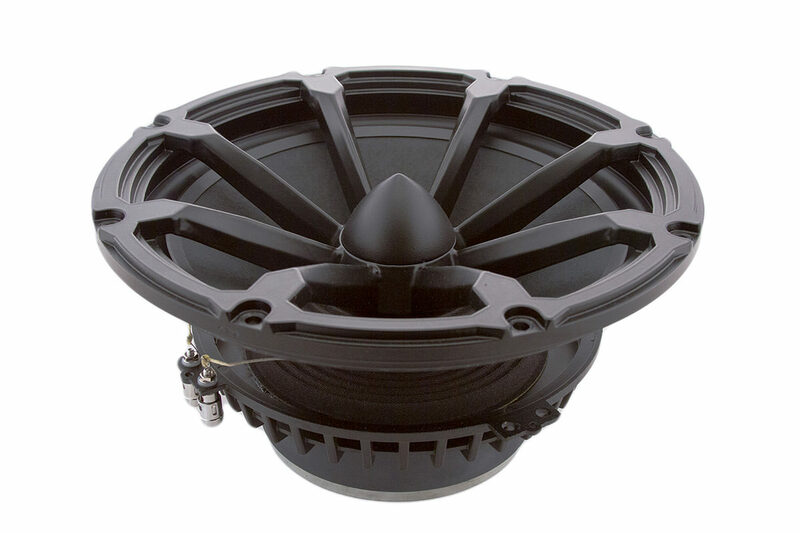 The B250.8 features a symmetrical field magnet and long voice coil for large linear excursion capability. It also has double rear suspensions whose characteristics are matched to that of the motor assembly for stability and linearity at high drive levels. An extended centre pole is utilised to minimise distortion inducing inductance swing at high power levels. The Thiele-Small parameters are optimised for bass extension. 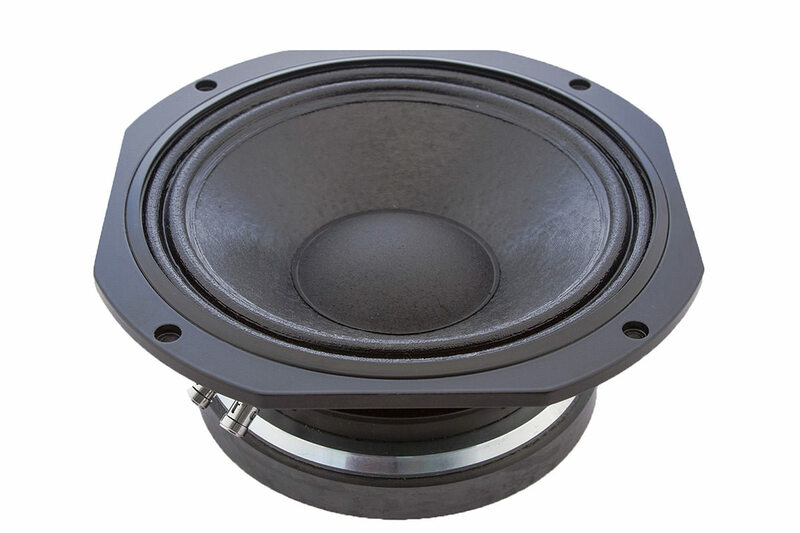 The design and construction of the B2549 is optimised for true sub bass reproduction. The B2549 uses a heavy, doped cone, large rubber surround and a rigid plastic dustcap that can make high excursions with true piston movement. The stacked magnet assembly is rear vented for cooling and is deep enough to allow exceptional peak to peak travel well in excess of the substantial linear capability without bottoming out. The B2500.1 is the ultimate 250 mm high power studio bass driver. This unit is intended for state of the art studio systems where dynamic range and analytical clarity are essential. The B2500.1 uses a massive magnet with symmetrical magnetic field and extended pole for maximum linearity. Matched dual rear suspensions maintain stability at high power levels. The cone is exceptionally rigid ensuring true piston integrity. The BM2500.4 is designed for use in two way nearfield studio monitors where accuracy and realism are essential. 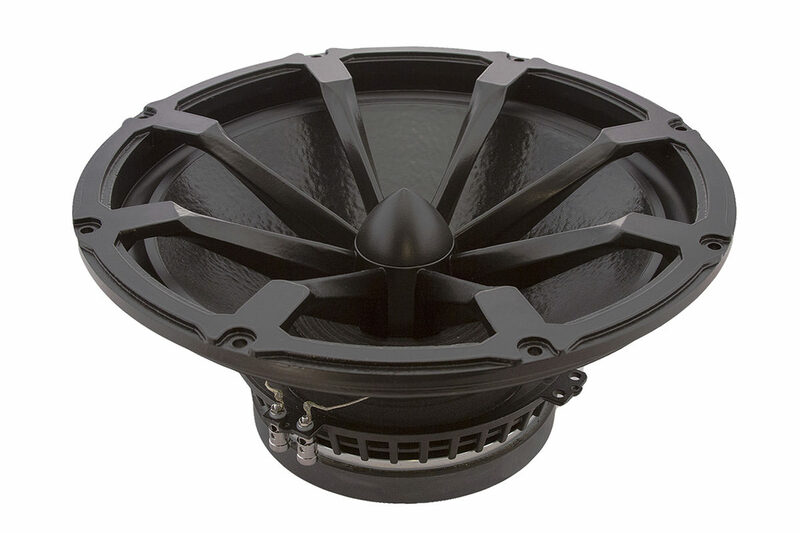 The BM2500.4 uses a massive magnet with a symmetrical field, extended pole and exceptionally long voice coil for maximum linearity. The cone, linen surround and dome are critically matched and doped to ensure very low midband colouration. The result is analytical sound quality with a stunning dynamic range. The uniquely designed RV3143 uses Radial Technology to allow exceptional power handling and reliability. The RV3143 features three cooling systems:- in addition to a vented magnet it uses the Radial chassis, which acts as a giant heatsink, plus a multi-finned magnet intercooler. 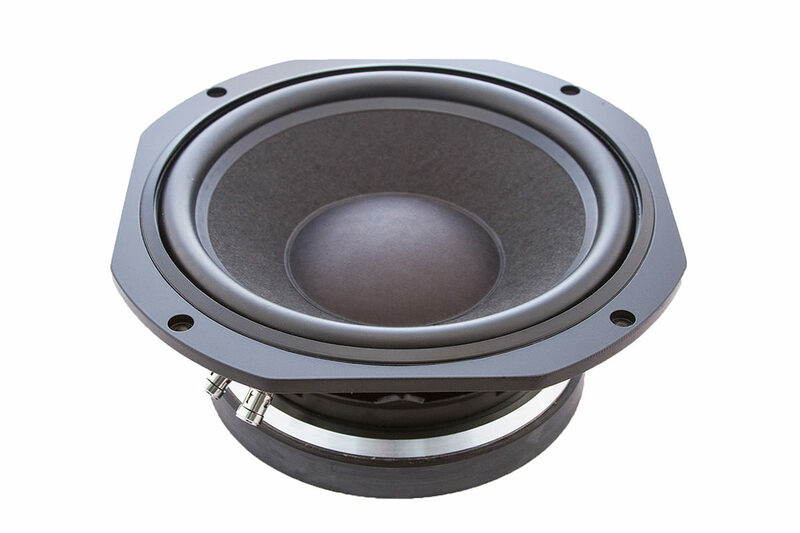 This keeps voice coil and magnet temperatures exceptionally low resulting in superb reliability, 3dB less power compression and tight, clean bass even after prolonged operation at maximum power. The RV3143 has a symmetrical field magnet with extended centre pole for absolute linearity and transient control on high power peak inputs. It has double rear suspensions for stability and a 4 layer voice coil to maximise BL. 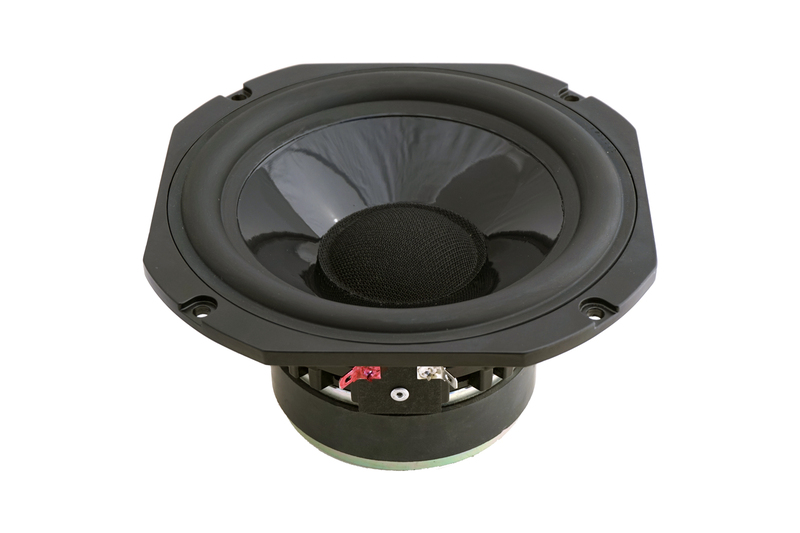 The RV3863 is a unique loudspeaker that uses Radial Technology to allow exceptional power handling and reliability. The RV3863 features three cooling systems. In addition to a vented magnet it uses the patented Radial chassis, which acts as a giant heatsink, plus a multi-finned magnet intercooler. 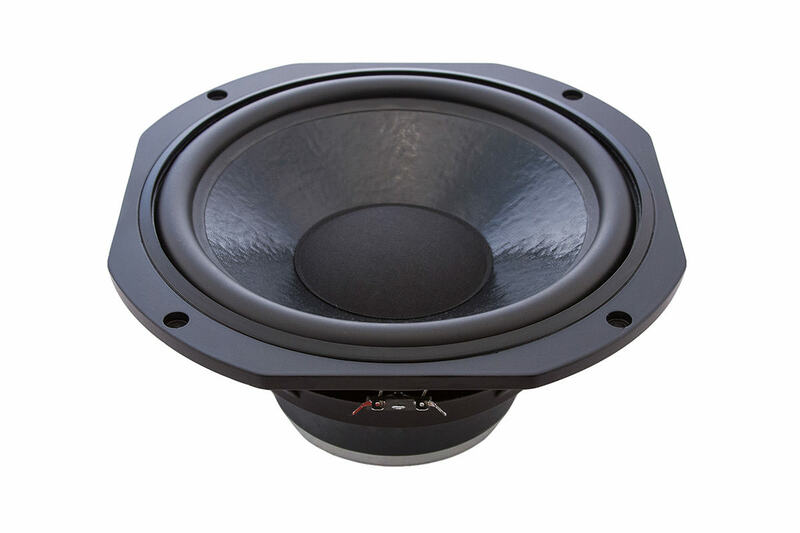 This keeps voice coil temperatures exceptionally low resulting in 3dB less power compression and tight, clean bass after prolonged operation at maximum power. The symmetrical field magnet system has an extended pole for linear excursions and maximum cooling for the 4 layer voice coil. The cone is doped for minimal colouration. The RV4564 bass unit is optimised for accurate bass reproduction. It has a massive Xmax, a symmetrical field magnet and extended centre pole for linear excursions up to 25mm peak to peak with accuracy and control. The critically doped carbon fibre loaded cone maintains rigidity for transient punch and slam. It features three cooling systems: a vented magnet, the patented Radial chassis and a multi-finned magnet intercooler. 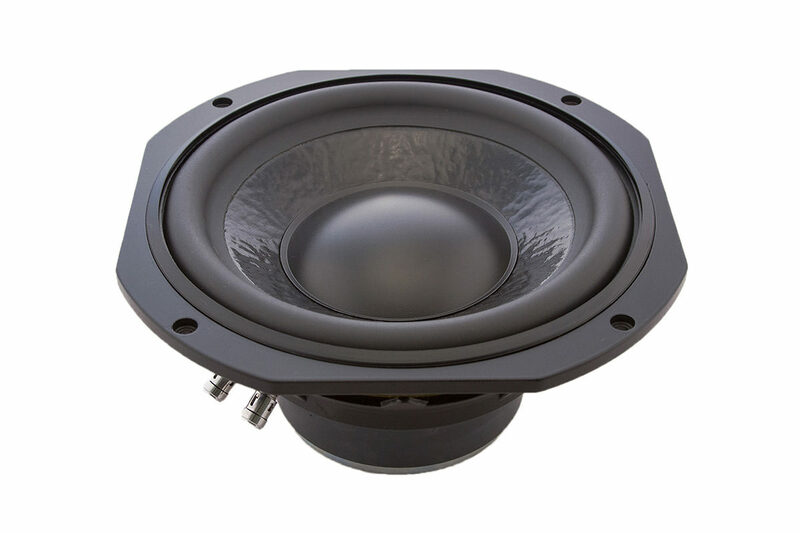 This technology keeps voice coil temperatures exceptionally low and substantially reduces power compression to maintain the full dynamic range even after prolonged operation. Additionally the stability of the Thiele-Small parameters resulting from cooler operation preserves system bass performance at high levels. 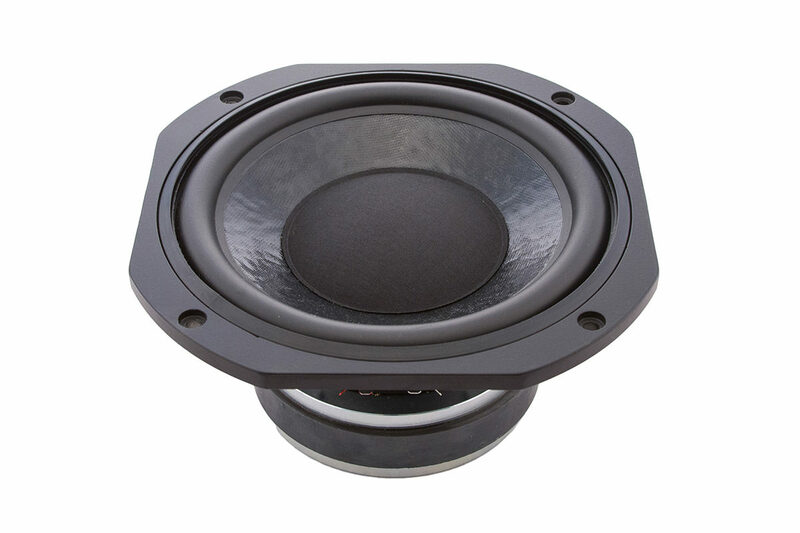 The RV4564 is intended for use in high power professional studio monitors and sub bass systems.